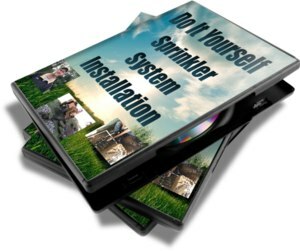 Sprinkler Winterization – Protect your sprinkler system from freezing. If you live in the north part of the country, one necessary sprinkler maintenance that most people don’t have the equipment to do themselves, is winterizing the sprinkler system. Sometimes, before your sprinkler contractor can get to your house, there will be a hard freeze called for on the evening news. When this happens, you can prevent a very costly repair, by protecting the backflow preventer and parts that are above ground, usually on the side of your house. This is easily done, by turning off the water to your sprinkler system and manually turning on one zone. This will relieve the pressure on the backflow preventer. Then take a blanket and drape it over the backflow preventer or anti-siphon valve and letting it hang to the ground. This will prevent the pipe and sprinkler parts from freezing and cracking. Your sprinkler heads and lines that are in the ground should be kept warm enough by the ground. This is just temporary until you can your sprinkler lines blown out properly.